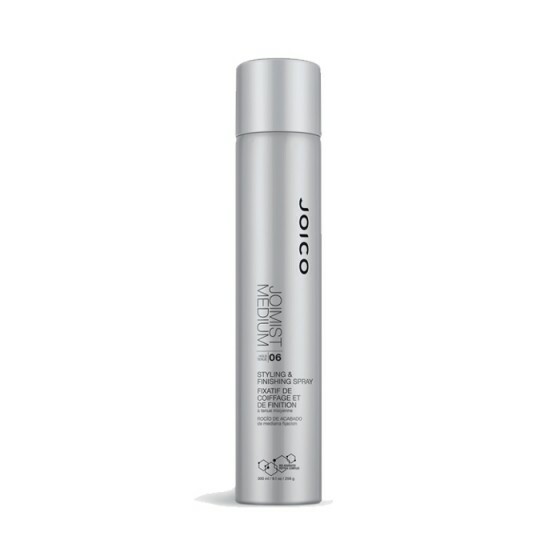 JoiMist Medium or firm hold for styling and finishing.This humidity-resistant, fast-drying working and finishing aerosol spray provides medium or firm hold while leaving hair shiny and touchable. UV protectants protect against daily environmental stress. Hair is flexible, touchable with all-day support.